A god has died, and it’s up to Tara, a first-year associate in the international necromantic firm of Kelethras, Albrecht, and Ao, to bring him back to life before his city falls apart. Her client is Kos, recently deceased fire god of the city of Alt Coulumb. Without him, the metropolis’ steam generators will shut down, its trains will cease running, and its four million citizens will riot. Tara’s job: resurrect Kos before chaos sets in. 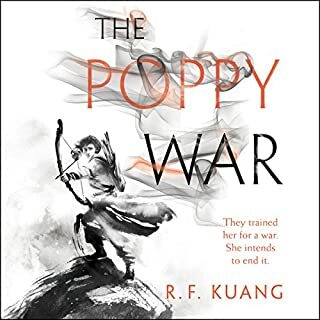 When the Empire of Masks conquers her island home, overwrites her culture, criminalizes her customs, and murders one of her fathers, Baru vows to swallow her hate, join the empire's civil service, and claw her way high enough to set her people free. 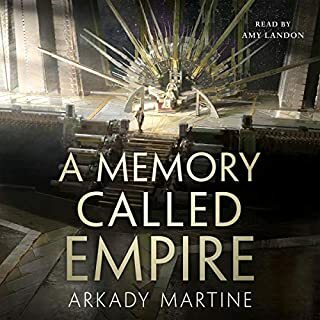 Sent as an imperial agent to distant Aurdwynn, another conquered country, Baru discovers it's on the brink of rebellion. Drawn by the intriguing duchess Tain Hu into a circle of seditious dukes, Baru may be able to use her position to help. As she pursues a precarious balance between the rebels and a shadowy cabal within the empire, she orchestrates a do-or-die gambit with freedom as the prize. A terribly cunning display of the untrustworthy narrator (it's in the title, after all!) Baru is an incredibly engaging protagonist, and this fantastical political thriller keeps you guessing about loyalties, love, and what drives a person to ultimate treachery. 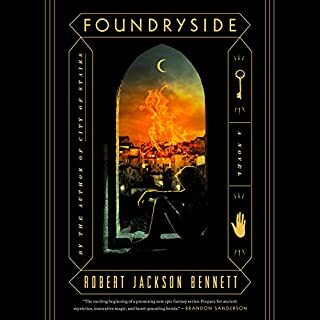 This narrative weaves a spectacular warning to the readers: of social injustice, imperialism and the profound danger and power that comes from being truly alone in your mind. Machiavellian machinations in a spectacular feat of world building. Wonderful, wonderful, wonderful. This is a hard one to recommend as it really depends on your taste. Especially since it's a long book, make sure you know what your getting into before starting. As a child Baru Cormorant witness the Empire of Masks conquer her homeland. Not through war but with economics, trade policies and cultural assimilation. Baru vows to tear down this empire from the inside by pretending to be loyal to gain power. Will Baru be able to avoid corruption that comes with power, can she stand by and not only watch, but be the instrument of the empire in conquering another culture, or join their rebellion at the cost of her revenge. Will her outlawed secret desires be discovered? It reads like a text book on colonialism. It covers in extreme details everything from economics, taxes & trade policies, cultural assimilation, diplomacy, naval & land battles, and family lineage. Often times it feels like the narrative is secondary to allow the author to show us the vast world his has created. Personally, while I found most of the technical details interesting, and presented with purpose, it started to bog me down and become tiring the last third or quarter. I really liked the ending, I can't say anything about it without spoiling it but it reminded me of a classic story whose ending I also really liked. I can't say which classic without spoiling. Read if you're REALLY into world building, how things work behind the scenes in terms of politics, bureaucracy and economics. If you read all the in game lore you can find in video games, then give this a read. 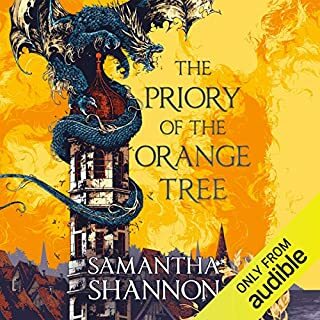 Really enjoyed the story but the narrator sounds like a computer program and offers very little variance between character voices. 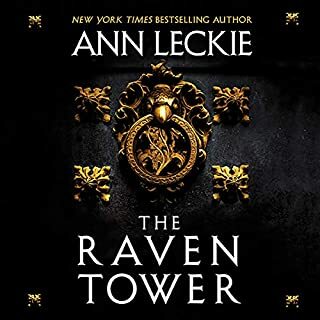 I read the first pages of this novel before I decided to buy the audiobook an I was really looking forward to listening to it. But Christine Marshall really took all joy out of listening. All I could think when I was listening was why she was in such a hurry. I actually couldn't finish the novel because of the bad narration. This is some of the worst case of a narrator massacring a novel. This is an incredibly incentive and gripping story. The audio book narrator, however, seems not to have been familiar with the English words "duchy" and "elided," which was frustrating and distracting. as a good, but not great, read. The premise of the book is how a "good" person becomes evil as she works to avenge a real wrong done to her homeland by the empire. Well written with many twists (no spoiler here) it demonstrates how the "ends justify the means" approach destroys lives and damages the humanity of a person pursuing such a path. 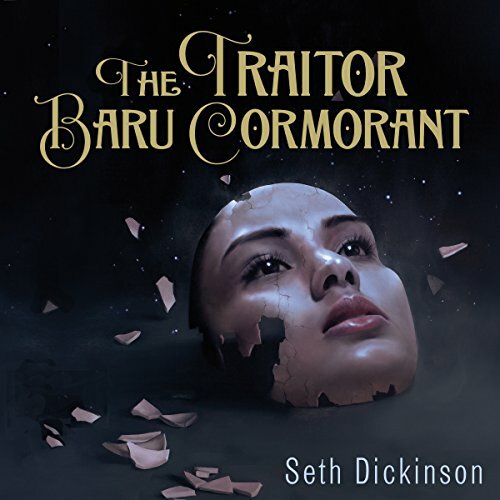 A "low magic" and realistic setting (that allows the willing suspension of disbelief) the Traitor Baru Cormorant is a solid addition to the low fantasy genre that does not throw up one fantasy trope after another I have grown use to encountering but ploughs new ground. Yet I found I never really cared about her family and really about her, I am not sure why that is, but I suspect it is due to the author's focus on events and keeping Baru's inner thoughts hidden (because if he did not he would blow up the surprise ending). Having said that the story and writing were good enough (or great enough) to maintain my interest in the book and the coming sequel. This was on some list of best SF from last year. Why? Not only is it more of an extremely watered down fantasy world, but up to the half way point if there was anything SF oriented (perhaps some vague societal genetic reproductive restrictions and control) I missed it; and to top it off, little or nothing of interest had nor was happening. Bored and I didn't care about anyone or anything in it. There are a lot of characters with little to differentiate them in your mind so it all blends together. Surely by the halfway point of any novel you should be able to keep some characters straight in your mind, have an inkling of interactions of importance and implications for future of the story, and something, something of interest should have happened. A friend was listening too and he lost interest. Told him I was pulling the plug on it and he didn't care to finish it either. Maybe all the excitement is in last half, but I don't care, not worth my time when there are so many good things to get to. Will return it. This is the tale of a collaborator, told from her point of view. It tracks her journey throughout her "accomplishments" and betrayals in service of a political system which combines a Nazi like racial philosophy with a sexual one. In the end she becomes part of the system she continuously claims she is trying to subvert from within while becoming more like their ideal than them. It is only a few times that she shows any hint of humanity and her weaknesses are clearly paper tigers to be knocked over. Needless to say it becomes both highly predictable and unrealistic, which means it can only be a shadow of great works like 1984. At the end the author tries once again to excuse her loyalty to party over friends or family, even to ordering their death, but it rings hollow. Despite the hype, I suggest you skip this one. So let's be completely honest. This book is a pretty boring "fantasy" novel (although there's no magic, so it's more of an economic/political medieval fiction). It is basically the story of an empire's conquest and rule over tribal lands, with a very Orwellian stance of "Big Brother" politics, with a lot of nods to both the Roman Empire and Communism. But the only reason I can think of it getting such rave publicity is its LGBT-friendly slant. Most likely this was woven into the story in order to garter artistic and critical acclaim for its progressive storyline. Of course, such structures historically never existed in our world. There were no native tribes or lands that are predominantly homosexual on planet Earth, so it requires quite a stretch of the imagination. Although it has always existed, especially in the Roman Empire for example, Dickenson makes it anathema in this empire and instead creates a entire culture based upon it - then makes that culture out to be some kind of utopia from the main character's viewpoint - a culture that the empire is dedicated to stamping out. No satisfying, in-depth reasons are ever given for this, only some vague "hygienic" reason but apparently plague and malnutrition are much more of a killer in these societies than anything else. Aside from this one plot device which is woven throughout the story - the threat of discovery, the agony of hiding ones' feeling from society for fear of being ostracized and murdered - the book was not all that well written. I had trouble following and differentiating the various characters, and even following the plot. The big confrontation at the end was confusing to me as well. 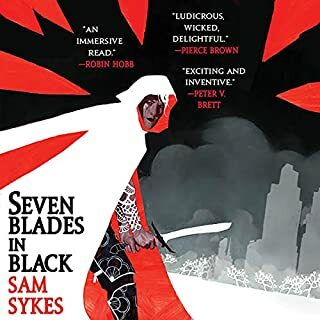 I just can't give this book a recommendation, especially when you consider that there are other amazing fantasy series that have gay characters that are done in a far better and more realistic portrayal, such as the Malazan series. So this book isn't that special. I thought that this was a standalone novel, but it seems it may be part of an ongoing series. For me, there just wasn't enough there to make me want to keep going. The performance is awful. Actually, it's beyond awful. The narrator reads the entire book at the same plodding pace with no intonation, inflection or emotion. When there's no personal pronoun in the text, you'll have no idea if spoken text is by a man or a woman, let alone who they are. Improper annunciation left me really struggling with the fantasy-style names of people and places, many of which are very similar. Listen to the audio sample and decide if you can live with 14 hours of it. The production isn't great either for not only are there some edit mid-sentence which are completely obvious, there are even a couple of bad splices causing a bit of a stutter. I found it a painful listen which totally ruined the book for me. What was one of the most memorable moments of The Traitor Baru Cormorant? The end,even though i worked it out it still had an impact. Which character – as performed by Christine Marshall – was your favourite? this book came out of the left field for me and I have to say wow! what an excellent and self-contained little story it was! thumbs up. I want more!